Jersey Jim Brings Frosty the Snowman to Los Angeles! 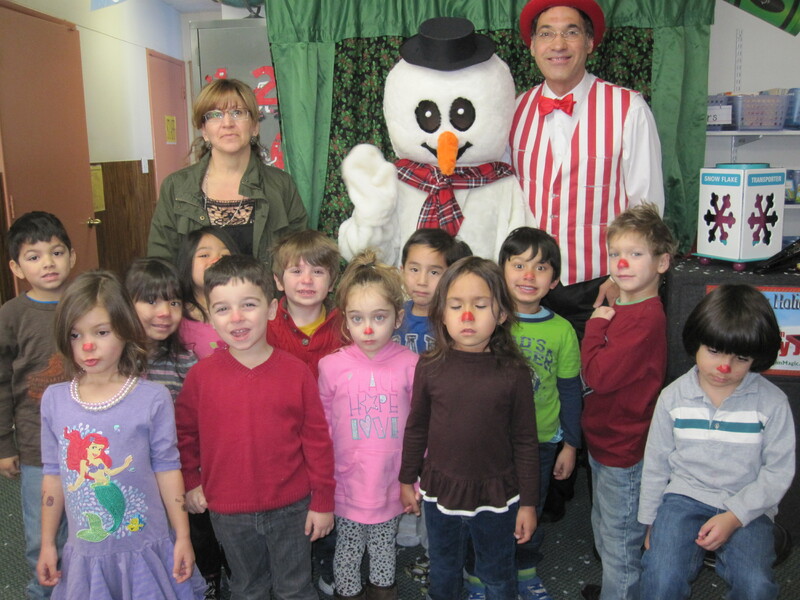 Jersey Jim will be bringing his “Frosty the Snowman” magic show to the Edendale Branch of the Los Angeles Library system on Monday, December 14 at 4:00 PM. The show includes winter-themed magic and storytelling. The presentation is non-religious so is suitable to everyone who loves to have a great time and see some awesome and funny magic. The big climax of the show is an indoor snowstorm followed by the arrival of the Famous Snowman himself! Besides his “Frosty the Snowman” magic show, Jersey Jim also offers others shows themed for the holidays. Jim offers his Magic of Christmas show, which features his love bunny rabbit. Jim also has a wonderful Hanukkah themed magic show, whose tricks demonstrate many key aspects of the Miracle of Lights. The one thing all these holiday shows have in common is that kids of all ages love them. Jersey Jim also offers his Big Boo Halloween magic show, which features Jim’s brand of comedy magic and lots of spooky goofy tricks, including Dracula’s Floating Skull! This entry was posted in What's Up Jersey Jim? on December 14, 2015 by Jim.